Sorry for the late update. Was busy taking photos and edit it over the weekend. 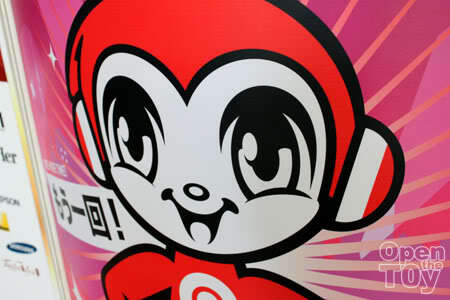 I went to Suntec on Sunday to meet up with other bloggers and photographers. The AFA09 was happening on the fourth level but I stayed at the third level to take photograph of the cosplayers and chit chat with friends. I felt rather overwhelmed to see the amount of cosplayers at every corner dressing in colorful costume and having lots of fun. Did I mention some of the costume were very well done and grand. Here are some that should be scary but since it is in the broad day light, most will take the scariness seriously. 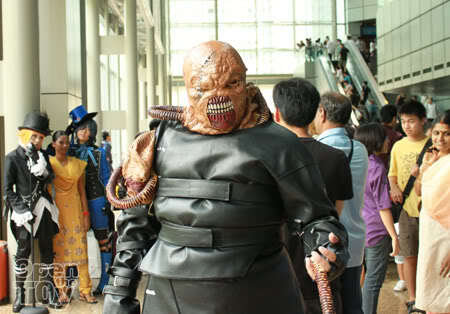 From Resident Evil... scary enough for you? I think he should be sweating inside. Talking about size, this should win them all that day. A Gundam is in the building! 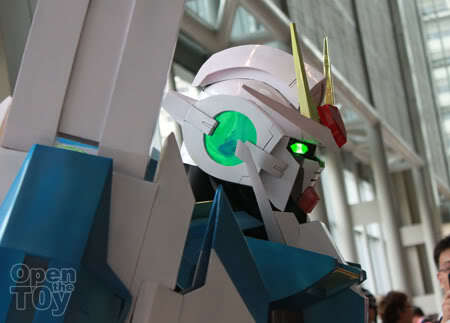 Someone actually put on the costume to look like a Gundam. 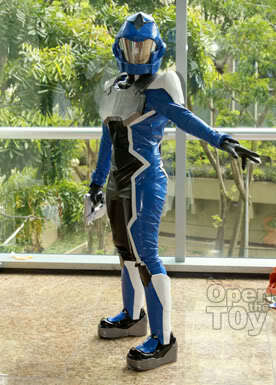 This is not a Gundam 00 Raiser model but a cosplayer inside. Credit to Borneo Falcon for informing that is the pilot Setsuna F. Seiei. Some are cosplayers are fans of certain series and you have to give them the credit with the amount of afford they spent or D.I.Y their costume and stay in character. We know the cosplaying screen has mostly dominated by female but it is encouraging to see they are growing number of male cosplayers. I think this one from one online game...Granado Espada? 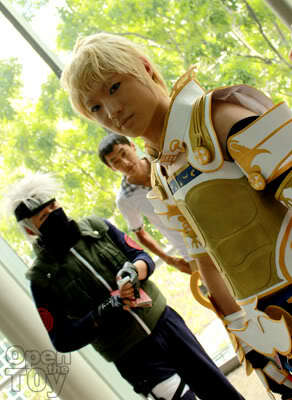 Here is one of my favourite Male cosplay that day. 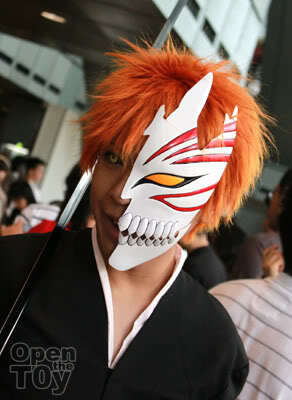 Ichigo from Bleach! 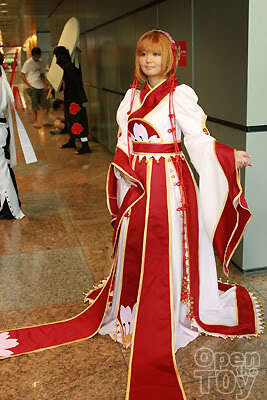 Continue to the Female cosplayers that day. 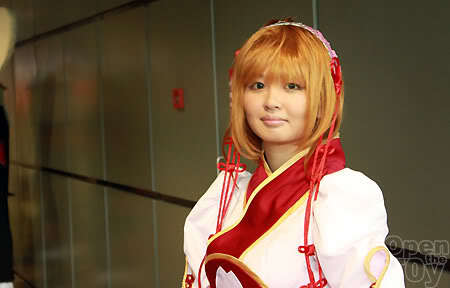 these are some of the nicest photos ive seen of the cosplayers at AFA! 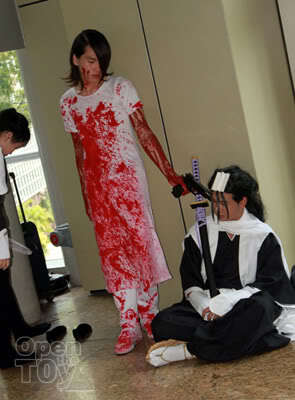 that Ichigo cosplay is really awesome. Hey LEon you are probably doing the update for the second part so yeah, this is Panther. Not sure if my email shows up here, but if it does not just head to my blog and use the contact page to send me a message (I will know your email instantly obviously) and I will get back to you regarding that photo you took of me and Sochii (the Kaito). Thanks! I see the cosplayers were very different from those on the first day. Nice pics taken. Thanks bro. I think you will enjoy the next post. Thank you. Remember to give rating on my post ya? Thanks bro. Which day is better for cosplay? 1st day or 2nd day? Thanks for the info. 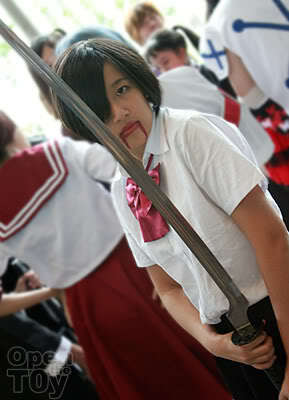 They are a few Ichigo that day but the one in the photo look pretty smart and cool to the anime character. 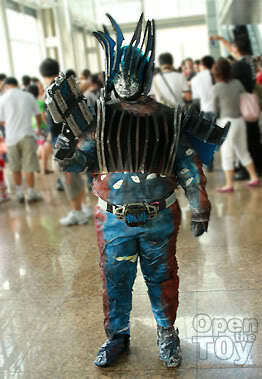 Amazing Gundam cosplay and a very scary looking RE dude. The Ichigo looks amazing, looking like a fun event.